Since I learned how to make sufganiyots, I thought I would try my hand at another classic Jewish dish. 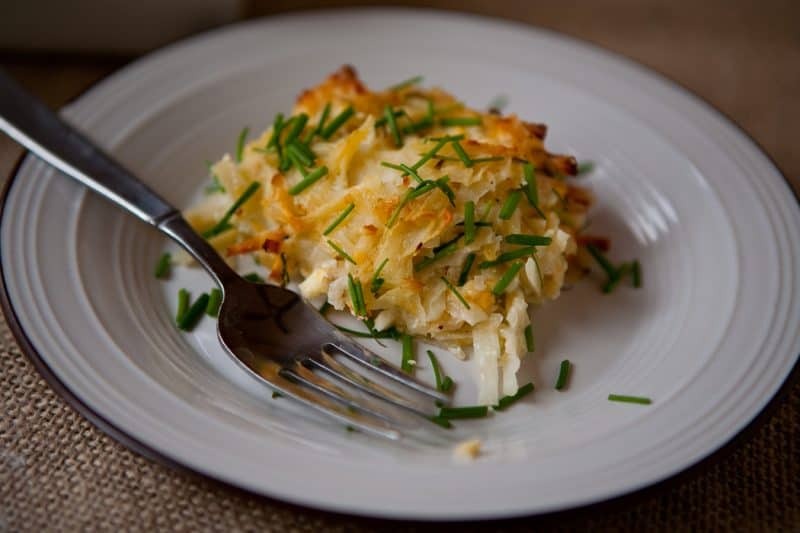 So I studied everything I could find about kugel, and developed this recipe. 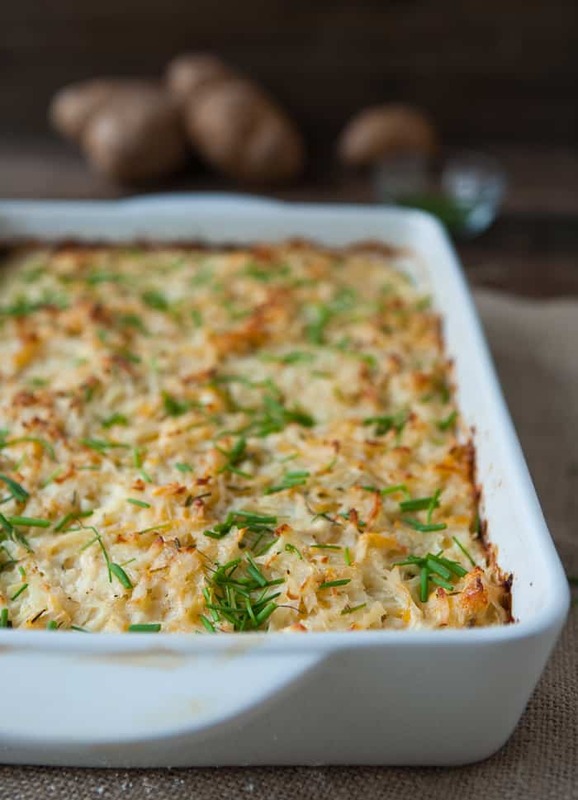 I think maybe a hash brown casserole is based on kugel, except potato kugel is at least 10 times better than any hash brown casserole I have ever had. 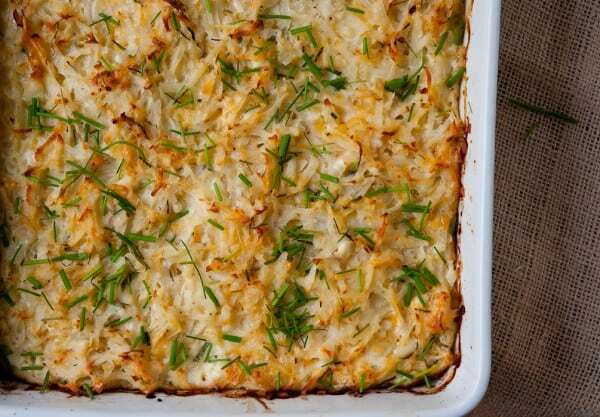 This kugel is simple, comforting, and just beautiful. This recipe was developed for BettyCrocker.com. Shred potatoes by rubbing them across the larger holes of a box grater. In large bowl, place shredded potatoes; cover with cold water. In separate large bowl, shred onion by rubbing across the larger holes of the box grater. Add cottage cheese, Cheddar cheese, 4 tablespoons of the chives, the garlic, nutmeg and eggs. Drain potatoes; rinse under running water. Drain well, using hands to press out as much excess water as possible. Add potatoes to cheese mixture in bowl; season with salt and pepper. Mix well; spoon into baking dish. Bake 1 hour or until golden brown; sprinkle with remaining chives.